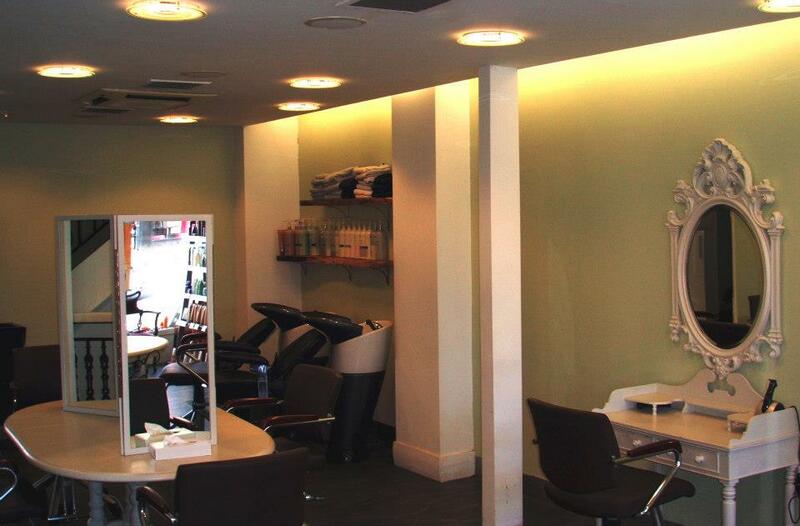 Westend Hair is an exclusively Aveda salon located in the heart of Glasgow's west end. Highly trained individuals will be more than happy to advise you about keeping you looking your best, whatever the occasion. Just ask for a complimentary consultation to get you started on your path of affordable luxury. Attended this salon for the first time to get eyelash extensions and absolutely love them. Highly recommend it and will definitely be back. A great experience from the warm welcome to the very friendly and professional team. Gary is an excellent stylist as well as very entertaining! I recently had my hair cut and coloured by the wonderful Jo. I used to dread going near a salon, found it an awkward and intimidating experience. But the atmosphere in here is friendly and professional and you leave feeling like you look as cool as the staff! Jo gives an amazing cut, listens well and gives good advice. Interesting chats too! My hair has never looked or felt so good. Great products too. Go. Go now. I highly recommend this salon. The staff are always so welcoming and friendly. I always leave very satisfied with my treatments. Wouldn't go anywhere else now, especially love the wonderful lashes! Cut and highlights again at Westend. Staff professional and friendly as always. Products used are high quality. Will be back soon! Great cut. Attentive staff. Advance consultation no problem. Thanks for a lovely cut that really matched what I asked for. I see Ciara on a regular basis for beauty treatments and she is always wonderful. The treatments I have had are facials, massage, pedicures, waxing and Shellac nails. She is always professional, friendly and very accommodating. The staff at West End Hair are friendly and courteous too. Came in looking like a shaggy wind blown spaniel went out looking bouncy stylish and elegant thanks to Gary's skills Great to get my hair done here Thank you for giving me back my shape and shine! Cannot praise Westend Hair highly enough! Stylists who care about your hair! I've been going to Gary for years to get my hair cut and coloured! He's a great stylist and good chat too :) ! I find the Aveda products are the best for my hair, they are very natural and my hair is always shining when I leave! The salon atmosphere is always very relaxed and I always look forward to visiting! Gary spends time listening to what you want and gives great advice for the undeciders like myself! Safe to say I'm very pleased once again with my hair cut and colour :) ! Would definitely recommend Gary and the salon! Just returned from an appointment at West End Hair and couldn't be happier with my cut. Requester a shorter style that will be easier to dry in the morning and love the cut I got from Gary. Fantastic cut and colour with Jo. I booked in for a cut and colour with a stylist named Jo. My hair was in terrible condition after too many dyes and a Korean hair perm but Jo didn't bat an eyelid. She was really professional but also very friendly and I've left with amazingly shiny, dark hair again! The atmosphere in the salon is great and all the stylist seem really attentive, professional and happy. I would definitely recommend this place! Thank you so much! thanks Carlyn. so happy you enjoyed your experience.Please recommend your friends to enjoy your discount for next time.